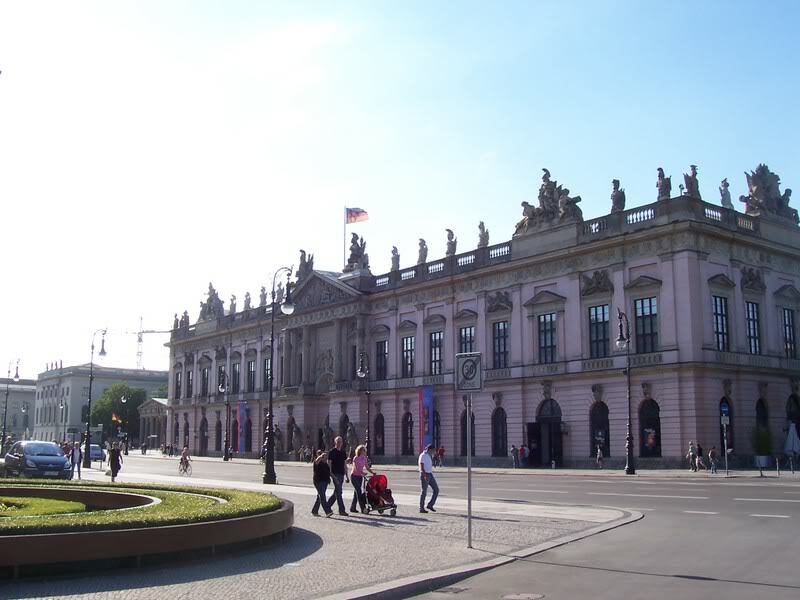 The Zeughaus is the oldest remaining building on the boulevard Unter den Linden and was built in 1695-1730 as an artillery arsenal. The original architect was Johann Arnold Nering, who was followed after his death in 1695 by Martin Grunberg, Andreas Schluter and finally Jean de Bodt. 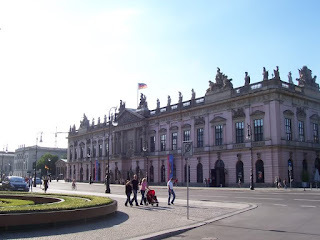 It was turned into a museum in 1875 and now serves as the German historical museum. The Reichstag building was built in 1884-1894 to a design by Paul Wallot, after winning an architectural contest in 1882. The first contest had been held in 1872 but the project stalled due to difficulties in acquiring the property, as the site was already occupied by an aristocratic palace, and political disagreements. The interior of the building of the building was gutted and rebuilt to a design Norman Foster in 1992-1999. 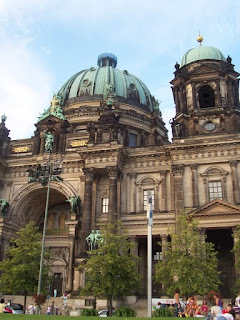 The Berlin Cathedral was built in 1894-1905 to a design by architect Julius Raschdorff. The original design was somewhat simplified and the northern wing was demolished during reconstruction in the 1970s, when it was finally restored from war time damage. 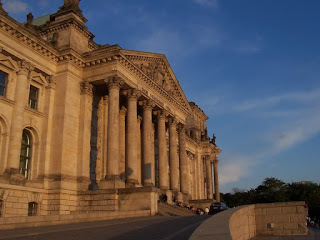 The present cathedral replaced a previous baroque building from 1747-50 by Johann Boumann the elder, though the facade and interior had already been remodelled in neo-classical style by Karl Friedrich Schinkel in 1817-22. The previous building has been dated back to ca. 1345, though it too had been transformed on several occasions, in 1538 and 1717.